Took the day off work, up at 4.30 am, 2 hours drive to Gympie. 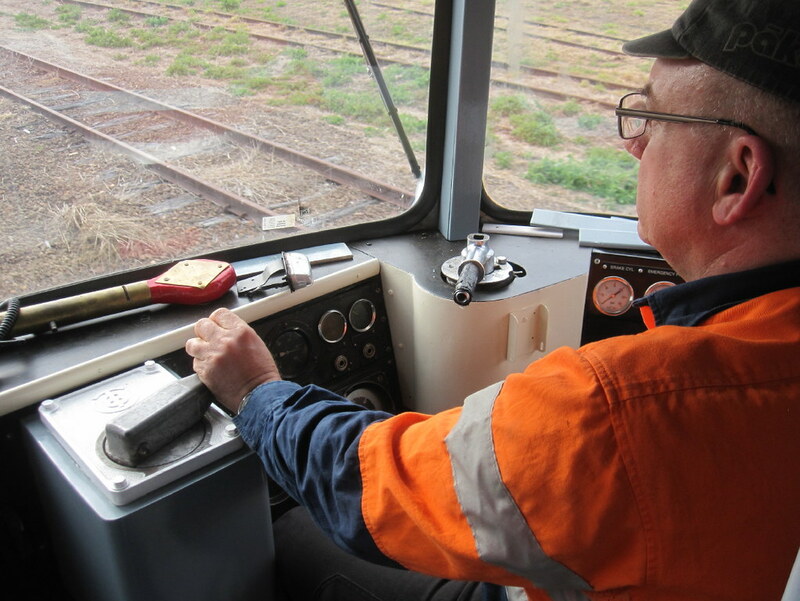 Spent the day on RM2017/RM2023 (RM2000 class railmotors) with fellow trainees, Stan and Greg and our Tutor John. The arvo was topped off with two trips on the first staff section to Monkland. 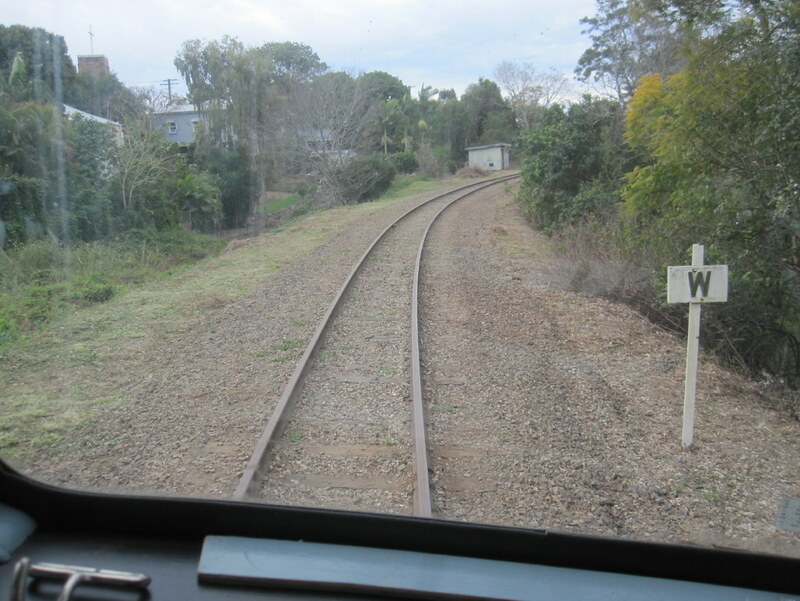 This section was part of the old north coast mainline until the deviation (to avoid the steep twisty climb into Gympie) was in place Circa 1989. 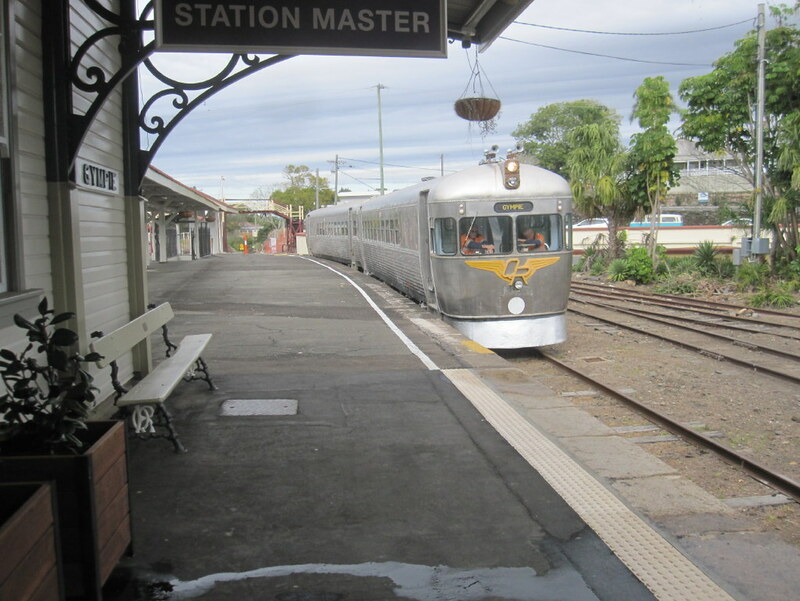 It was 45 years after my last time I was in a railmotor on that section of line visiting my Grand Parents in Gympie and who would have thought I would drive one many years later. Later we progress down the old Brooloo branch line that once left the mainline just south of Monkland. My fellow trainee Stan was the last station master at Monkland when it was cut off the mainline and closed. Got home at 7.00pm and then enjoyed two glasses of red. A nice day, living the dream ! One hiccup due to the terrible drought the whole of the eastern Australia is currently suffering, steam loco training may be postponed due to the fuel loads beside the track. 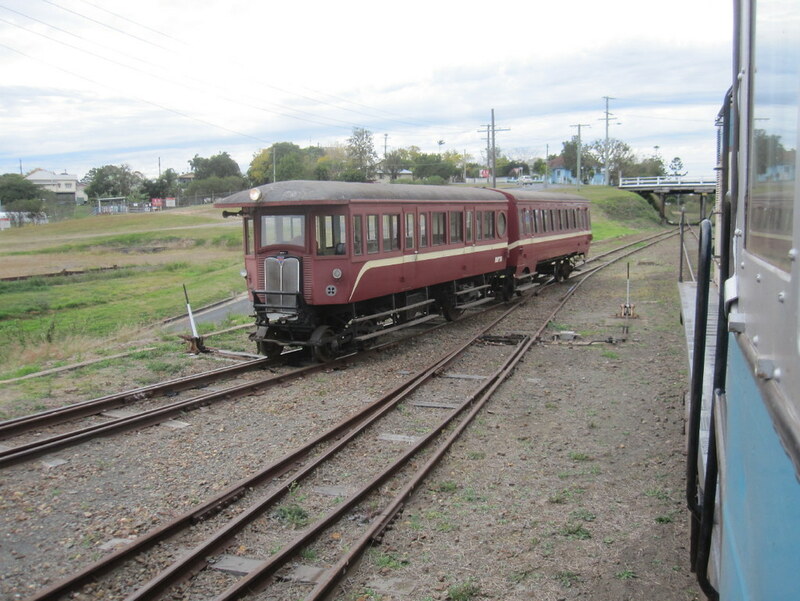 The Rattler Railway does not want to burn down the Mary Valley on its first week of training or passenger services. Which might mean more Diseasel training and RM2000 training. 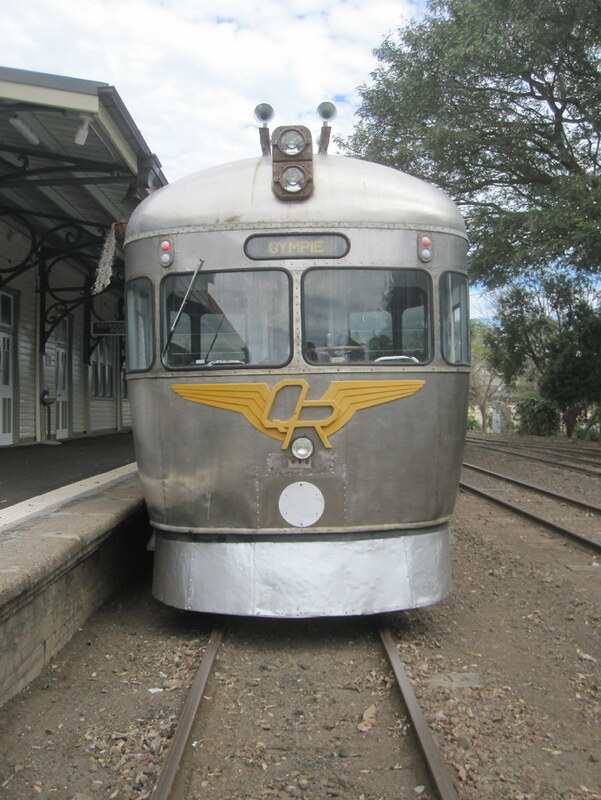 I am also signed up for "Red Rocket" training int eh months to come (1930s built RM76) which has a crash gear box. Good for you Dazza, I'm pleased for you but not so sure about Flash Gordon's can of beans... much prefer the Red Rocket! That'll be a British United Traction power handle ... as used on a lot of UK DMUs. The drought is evident by the poorly-looking planter hanging on the station eaves in the first picture! Yes, when they built them they imported many of such parts. These units have Rolls Royce 150 hp diesels live under each unit. Some had AEC engines. Last edited by Hydrostatic Dazza on Sat Aug 11, 2018 9:15 am, edited 1 time in total. That Red Rocket is a fine looking old girl…. Well I have seen the proof that it as is as easy as can be imagined, better than the Butane burners, Metho drinkers etc. Due to fire bans and controlled fuel reduction burns in the Mary Valley the steam loco training etc was canned this weekend, so I went 15 minutes up the with a couple of railway mates to the QSMEE track and Tent run. (goes for for three days and a few nights) A few knocked up a small 32-45mm gauge loop in the grounds (big ground level 5 and 7 1/4 ground level and elevated track) and I met up with Andrew Alison who had his "Jack" loco there. The one that has a wet leg boiler featured in AME mag last year and my inspiration for my locos boiler. This loco is a coal fired wet leg boiler that proves that coal fired is very simple, reliable and easy to do. His Wet Leg boiler steams like a Witch! Blew the Butane burners off the track while towing many kgs of lead loaded trucks. Two tube boiler, wet leg, Rose bud grate that he burns coal of all types, and or char, I would not be surprised if it would steam on decomposed granite. 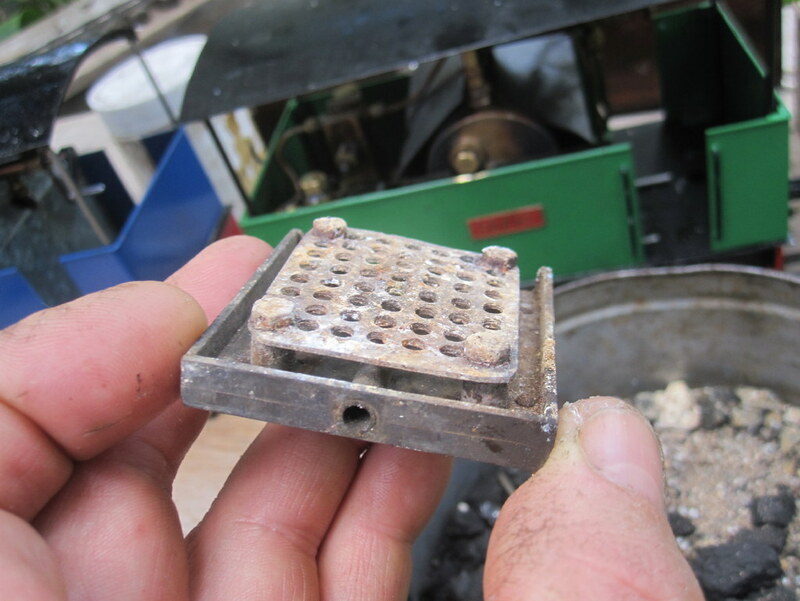 In minutes, with no fuss, with less nonchalance than making a mandane cup of tea, he fills the boiler to the brim, bombed the fire box with char and away it went with many kgs in tow with trucks with plain bearings. Often he had to open the fire door to stop it blowing off. 20 mins runs were not a problem on one boiler fill of water. 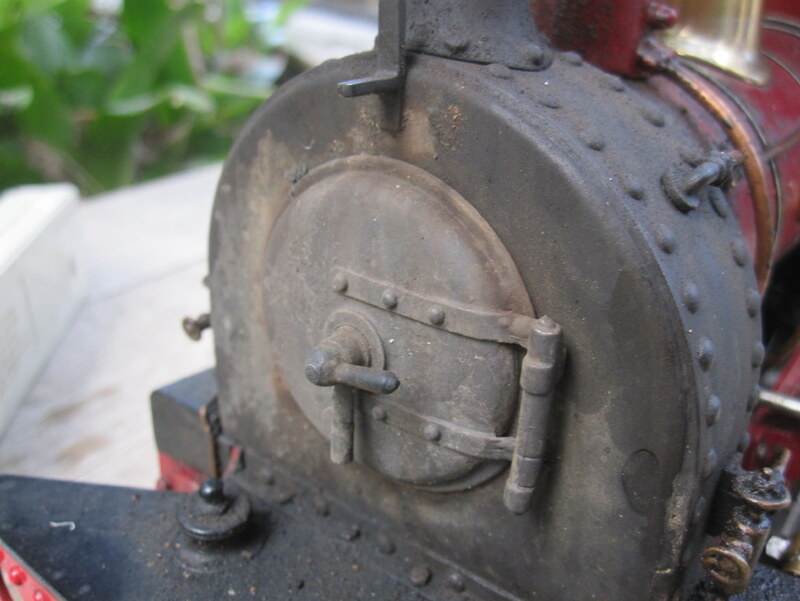 The Round House Cylinders and valve gear, nothing special, it is just that this is the boiler type/design for coal firing in the narrow gauge garden gauges is the way to go. After reading all the harrowing tales of coal firing I am fully convinced. Looks just like a hard worked industrial loco, because it is what it is. I would like to thank Andrew for his time and knowledge sharing today. Very much appreciated by this silly spud. Marvellous, thanks Andrew. Last edited by Hydrostatic Dazza on Sat Aug 11, 2018 9:48 pm, edited 1 time in total. My Riverdale boiler is similar with two large fire tubes rather than loads of small ones that take up space for water and get blocked easier. I am very comfortable coal firing now and I didn't grow up with coal fired anything. 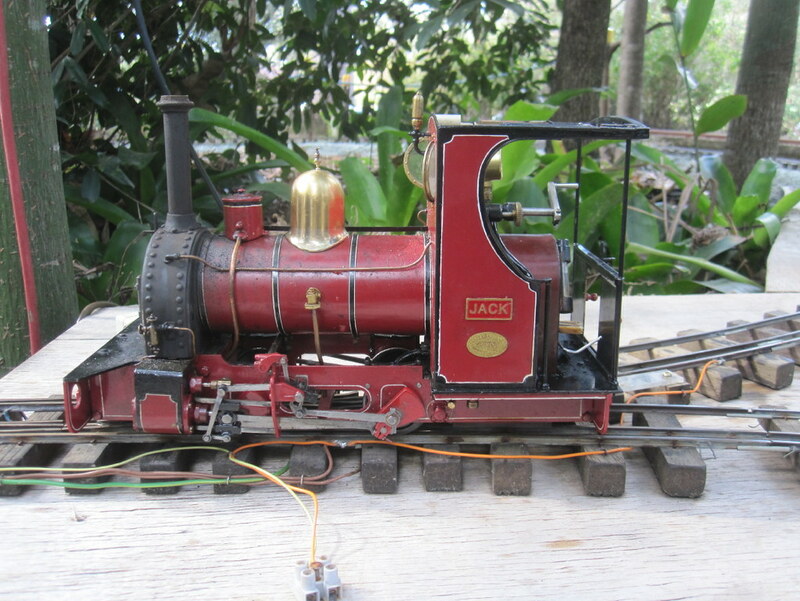 Great looking loco, are there any videos of it running or firing it up from cold? No videos, I was too busy flapping my gums. If I had the courage and the money I think I would go for a coal fired loco also. The courage to operate one would be a personal challenge, mainly because my older brother builds his own 3 1/2 inch and 5 inch locos and he classes our 16mm stuff has Micky Mouse. so I would love to show him that a 16mm would run and pull in relation to scale just has much as his bigger stuff. Boiler work has commenced. My first ever boiler. I made a plug to fit snugly in the boiler barrel. Machined the ends square in the Myford with the free end in a steady. Milled the cutout. 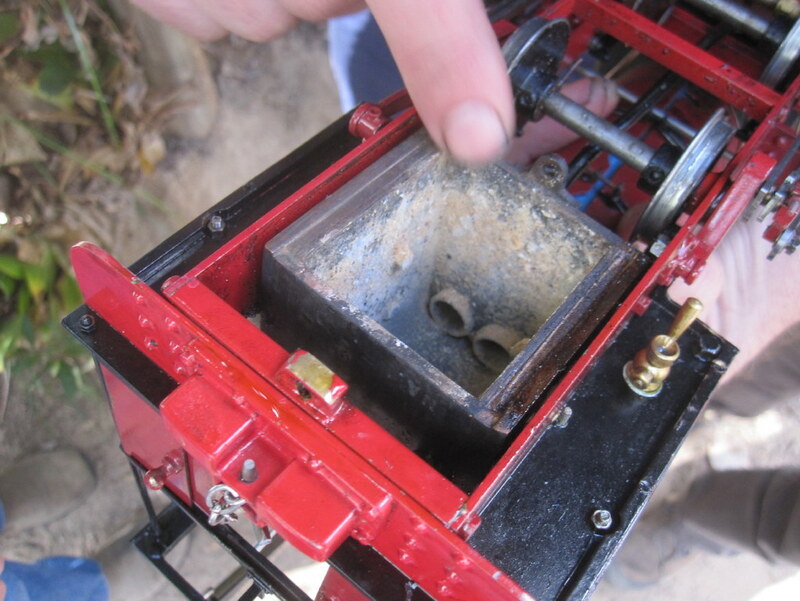 Pondering the method to make the formers for the firebox wrappers. 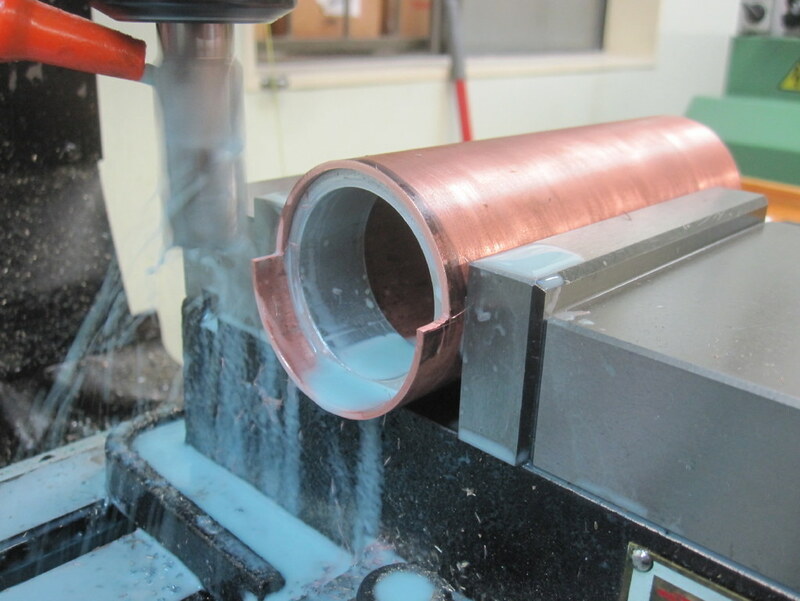 Maybe CNC wire cutting...........????? Sorry to interrupt, but I agree with this to such an extent that I had to copy it. These are wise words, well written. The day someone pays me to haul a few tins of lager across my garden with my Roundhouse locomotive, I'll let you know it's no longer a toy.